Deer Valley offers diverse terrain for every level of skier, world-class dining options and award-wining instructors. Enjoy more than 55 miles of scenic trails for biking, hiking and site-seeing, skiing and snowboarding. Let us help you plan your trip. Rough-sawn timbers, rustic stone and large gas fireplaces create a cozy mountain ambiance at Silver Strike Lodge. Every gourmet kitchen is complete with slab granite countertops, custom cabinetry and top-of-the-line appliances. Guests of Resorts West receive daily housekeeping, complimentary shuttle service, a luxurious outdoor spa pool, state-of-the-art fitness facility, ski prep area including lockers, boot and glove dryers, and the services of a Private Concierge, complete with check-in right in your condo. 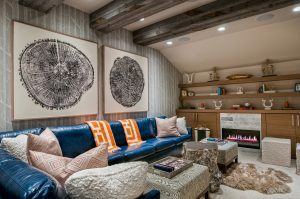 Paying tribute to the rich mining history of Park City and Empire Pass, this ski-in, ski-out Deer Valley lodge features rustic interior design in 2- to 4-bedroom floor plans. Located at the base of the Silver Strike Express chairlift, Silver Strike offers ideal ski access to the meticulously groomed slopes and expansive terrain of Deer Valley Resort. Nowhere in Utah is Mother Earth’s alpine splendor more vibrant than in the unspoiled area above Deer Valley® known as Empire Pass. 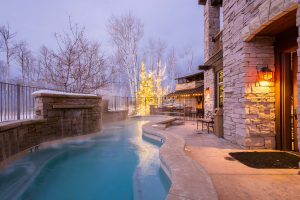 In the heart of this majestic haven lies Silver Strike Lodge, nestled quietly at the base of Deer Valley® Resort’s Silver Strike Express Chairlift. Welcome! Fascinating and nostalgic, Silver Strike Lodge pays tribute to the rich mining history of Deer Valley and Empire Pass. While its awe-inspiring homes are rich and complete, the magnificent ski-in, ski-out location is the true indulgence. Tour Main Street for dinner and drinks or enjoy a delicious wine and cheese picnic basket at one of the many amazing outdoor concerts at Deer Valley Resort. Silver Strike Lodge at Empire Pass truly caters to the luxury resort lifestyle. This is the perfect venue for family activities such as the alpine slide, zip line, mini golf and other “kid approved” adventures. Just a short drive will lead you to golfing, fly fishing, balloon rides, horseback riding, boating, tennis, spas, shopping and much more. 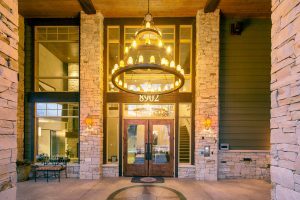 The complimentary “Dial-a-Ride” service at Silver Strike Lodge can take you right to Park City Mountain Resort, the perfect venue for family activities such as the alpine slide, zip line, mini golf and other “kid approved” adventures. Enjoy more than 55 miles of scenic trails for biking, hiking and site-seeing. During the summer months, revered hiking and biking trails are just outside your door. Nature awaits you.